We have used Trinidad Tile and Granite twice. Once, for a bathroom remodel and again, recently for a kitchen remodel. I wanted solid granite counter tops with a backsplash but with tiered angle granite around a couple of odd shaped kitchen windows. Hugo pointed out that he could creatively accomplish this. With his expertise and craftsmanship he was able to make various shaping and cuts that were required. It was exactly what I had envisioned. From the very first time we met Hugo and his team, their customer service stood out. What we appreciated the most working with them was their ability to do the project to our satisfaction and keep us happy. They delivered the expected results and then some. It is gratifying to find such service these days. A company's most valuable asset is their reputation, and you sir are a credit to your profession. 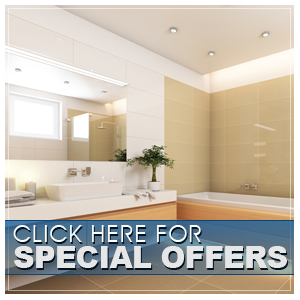 Trinidad Tile has been the most professional and trustworthy company we have ever worked with. They are exceptionally clean and careful while working and at the end of the day completely clean up. We had three bathrooms completely remodeled along with construction in our kitchen, den and living room. I am very picky when installing granite and they always made sure the pieces were up to my standards. The brother and their father are extremely nice people and helped me with designs when I just wasn't sure what to do! Their prices are reasonable and fair. I can't say enough nice things about this family and I highly recommend them. I had a wonderful experience with Trinidad Tile & Granite. Hugo is very professional and knowledgeable. I'm very pleased with the tile work in my kitchen and I will definitely call him again! If you are looking for an honest contractor and quality work, look no further! These are the right guys for the job!! Long over due review. It's nice to know there is still one contractor out there that understands showing up for an appointment on time...that is Trinidad Tile! I received three bids, Trinidad was the only business to show up on time! Gabriel listens to what you have in mind for your remodel and offers very useful suggestions based on experience and code. Does not try to tell you what you want, he listens and works with you. He is also good with colors and helping guide you through your tile and granite choices. His team is great, clean and respectful. They are also on time! They keep you inform and are quick to call if they run into a snag. We had slight lighting and outlet changes to reconsider. As for price, very fair. 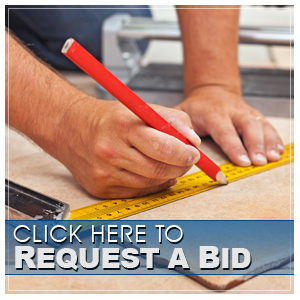 Get multiple bids as everyone suggest, but you will find they are fair. Great to work with. They did such a wonderful job on master bath that we commissioned them to remodel our second bath. One job had a larger budget than the other, but you would never know. Both awesome jobs!!! Thank you Gabe, Hugo and family. Thank goodness we found these guys. Gabriel and Hugo were so great to work with on our kitchen remodel. We had gone to a half a dozen or so showrooms and had three or four contractors come to our house and give estimates. While Trinidad Granite was not the cheapest, my wife and I had both felt equally at ease with our first meeting with Gabriel their prices were fair and they carried the Cambria countertop we were looking for. Both he and Hugo had great ideas when it came to colors, counters, floors, etc. Throughout the remodel they communicated with us every step of the way. Their contract was fair, easy to understand, and very clear on what they were doing at each phase and when they expected payment. We had several change orders and each job was priced fairly. The quality of work performed was outstanding. WE cannot recommend Trinidad Tile and Granite any higher! Thank you guys!